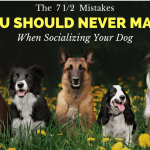 Recently, I wrote an article titled “The #1 Secret to Getting Your Dog to Leave Your Guests Alone”. This is a very important article. There are some dogs out there that should NEVER interact or greet your guests. Dogs with aggression issues, for instance, should not be allowed to “greet” your guests physically. Forcing them, or encouraging them to do so can result in bites and aggression issues worsening. 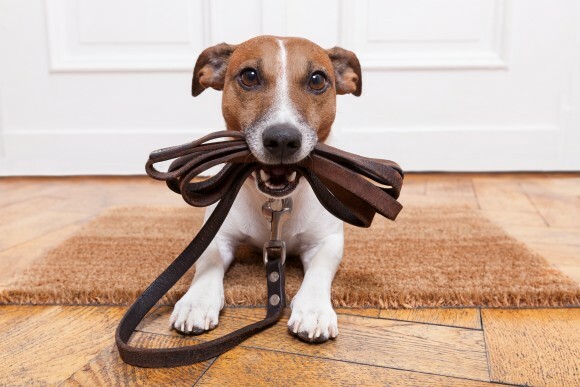 However, for some dogs, simply sitting at your feet (on leash) when guests are over is safe and acceptable behavior. 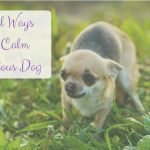 Yes, some dogs are so aggressive, and so unpredictable, that allowing them close to your guests can spell trouble. 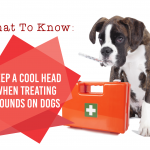 It may also threaten the life of your dog, as they can be deemed “dangerous” and euthanized should a bite occur. Err on the side of caution if you have a dog like this. It is not about “saving face” around people, or letting them judge you and your dog. It is about saving the life or your dog! I had a dog like this, and he spent his life being leashed and knowing that taking his spot at my feet without showing any signs of aggression was highly desirable behavior. It was also my job to build his trust and to never allow people close enough to cause him fear. This also kept him from ever being close enough to bite. He died of cancer at the ripe old age of 11, having never bitten a soul (despite being a very fear aggressive puppy). Although in my old age, I prefer a much more controlled and aloof dog, I understand that some of you want a dog that will simply greet guests politely. 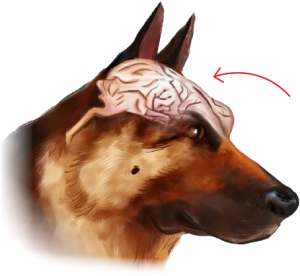 Certainly, this is a highly desirable trait in a dog. But it is something that needs to be taught! Just like any other behavior, your dog does not spring from the womb knowing how to greet your guests politely. Let’s face it, your dog does not know the meaning of polite! 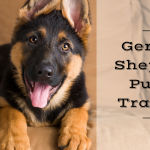 There are two main ways to teach your dog to stop jumping up and politely greet guests. And, for it to work best, it should be a combination of the two!!! We have discussed this at length before; the only way to truly have control over your dog is to have him on a leash. Sure, there are trainers out there who will strap a shock collar to your dog and zap him when he goes to jump on a guest. 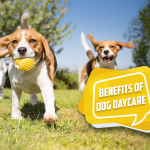 I, however, don’t want my dog to associate guests with pain; nor do I think this kind of training is productive; nor does it help them with true learning and understanding. 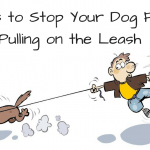 The best way is to put your dog on a leash, control him, and keep him from jumping on guests. If your dog is never allowed to jump on your guests, he will begin to stop even trying. Let’s say I promise to pay you $10,000 if you never, ever allow your dog to jump on someone. Would it be worth it to you? 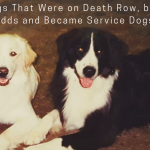 Read this https://thedogtrainingsecret.com/blog/dog-jumping-people/ Could you do it with that kind of payout offered? How about $100,000, or a million? I’ll bet if there were a million dollars on the line, for such an easy behavior, you would suddenly be motivated to teach your dog to NEVER jump on your guests. I’ll also bet that you would use a leash, at least in the beginning, while you are teaching and conditioning behavior. 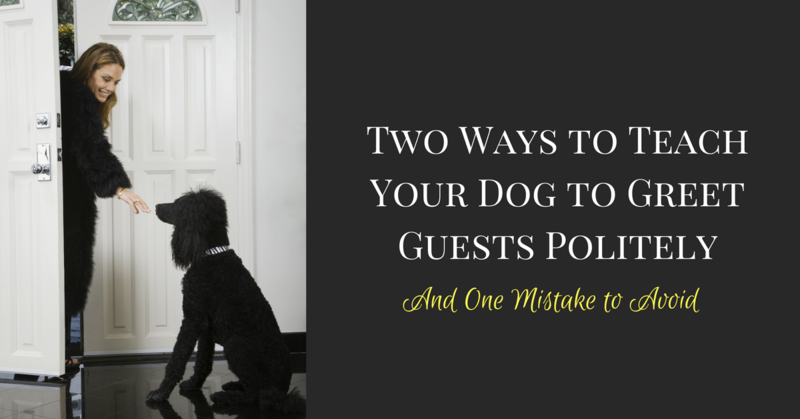 In my last article, I talked about how my dogs can’t lie at my feet and jump on my guests. If my dog is lying down at my feet, he cannot be jumping on my guests! If my dog is lying down, he can’t jump at all. If my dog is successfully sitting and remains seated, he can also not be jumping on my guests. I say “successfully” and “remains seated” because it is so easy for a dog to go from sitting to jumping or standing. If one million dollars was riding on your decision to keep your dog from jumping, I’ll bet you would almost never ask for him to sit. 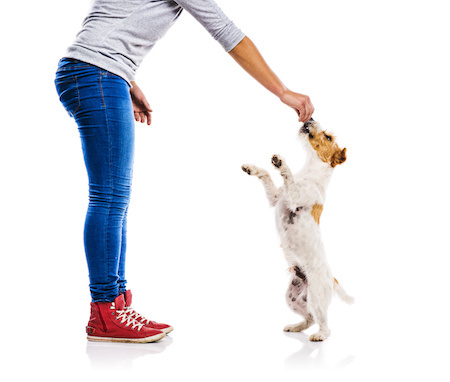 Choosing the correct incompatible behavior helps to condition your dog how to react to guests. 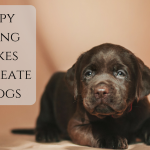 Allowing your dog to make mistakes actually conditions jumping and other excitable behaviors. And, again, I will reiterate from the last article. Do not allow your guests to give your dog the best treats. Do not allow your guests to encourage your dog to jump and be rewarded for doing so. Do not allow your dog to think that someone who visits is better than you! When I teach puppy training classes, I bring the best rewards. I use string cheese, chicken breast, steak, and roast. When I am around, my puppy parents have no control over their puppies! I can take 98% of those puppies from their owners and 98% beg to leave with me each week. On the third week, I point out how frustrating this behavior is for the owner. They will command their puppy. I will walk by, and the puppy totally stops doing whatever it is doing and runs to my feet. Now, as a dog trainer, it is my job to take puppies and teach behaviors. I would be a bad trainer if I never demo’d with the puppies in my classes. However, the repercussion is infuriating to the owners. On week three, I point this out and tell them why; “I’VE CONSISTENTLY HAD THE BEST REWARDS AND REWARDED CONSISTENT BEHAVIORS.” I am also new and exciting and have never corrected their puppies. Their puppies have never incurred my wrath or know anything except how perfect I am. By allowing a dog to see this perfection in another person or other people, you are losing the battle, if not the war. I want my puppy and my dogs to pay the ultimate attention to me. Sure, a stranger or a friend can give my dog a biscuit; but I don’t want him or her to give something of high-value. High-value rewards and high-value games come from me! 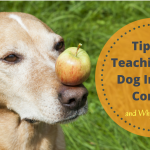 By teaching my dogs this simple trick, and consistently rewarding good behavior, I keep them paying attention to me! They might visit my guest for a short “hello,” but they always have me in their line of sight and are ready at a moment’s notice if I give them the opportunity for a treat and a jackpot through an obedience command!